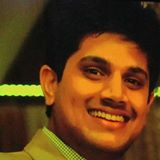 I’m from Chintamani, now living in Bengaluru, interested in entrepreneurship and creating scalable web apps. Working on LegalCrystal.com at Gavista with a stellar team, helping build a great product and company. I write in PHP, Python, also can speak to databases and make servers do stuff. I like working on scalability, performance, design. Developed a Human Resource Management System to add employee information, upload documents and define Roles/Designation. Each employee can login and update personal information or upload documents. Employee can apply for leave and an automated email will be sent to ReportingManager for approval, once approved employee will receive an email notification. SuperAdmin can generate monthly,quarterly or annual reports and export them as Excel file. Generates Salary Slip and mails the PDF to each employee automatically at the end of the month. Designed and Developed an Customer Relationship Management web application from scratch. CRM software consolidates customer information and documents into a single CRM database so business users can more easily access and manage it. The other main functions of this software include recording various customer interactions (over email, phone calls, social media or other channels, depending on system capabilities), automating various workflow processes such as tasks, calendars and alerts, and giving managers the ability to track performance and productivity based on information logged within the system. The system also generates Invoices for customers and tracks the payment. Also gives you Analytics of leads and trends in sales based on the data. Integrated Twilio so that CRM user can also voice-call the customer from the Dashboard and even record/log calls on Twilio. Deployed the app on Linux Server and tuned for optimal performance. Deployed web server and entire backend for a Mobile app which would communicate with other users over Google Cloud Messaging (GCM) for Android and Apple Push Notification Service (APNS) for iOS. Developed REST services to access database, modify, insert data via urls with POST, PUT DELETE requests in JSON as per REST methodology. App fetches Audio links with respective categories from server via json and displays categories in the app. Each file is available for download to the user and for offline playing/viewing. Audio data is hosted on Google Drive, Dropbox and a Dedicated server. The API chooses the download location based on the server load. Developed a messaging service using Google Cloud Messaging to deliver notification and message to all app users. App supports PDF's, Video and Audio data. Worked on developing a REST API to serve data from the server to the app. Handled Web Server hosting, Mobile Application Development and PHP REST API from scratch. Installed and configured Sphinx on Windows and CentOS servers. Worked on developing a search engine for User Data, configured Sphinx search framework to handle CJK (Chinese Japanese Korean) characters and devised a relevancy algorithm which would pick recommended users based on their rating, feedback and review score. Implemented 10 filters and 5 sorting methods without compromising the accuracy of the search results. Worked on setting up a Sphinx Server which talks to DataBase server (relational data between ten tables) with multiple indexes. Developed queries to get accurate search results using the Sphinx PHP API. Optimized the web app architecture and requests between the DB server, the app and the Sphinx server (Different Servers). Developed an autocomplete (backend) functionality using SphinxSearch to return data from multiple MySQL tables and columns. Indian Judiciary uploads judgements/verdicts to a public web portal, cases aren’t structured & organized. I devised a crawler using Python-BeautifulSoup which parses HTML and returns a list. Systemized the crawler using powerful regex to pick semantic data from the web page and insert into MySQL table. Configured a cron to automatically update DataBase as soon as the webpage is updated. It handles 23 Courts with each court uploading thousand’s of cases everyday. Searching a MySQL DataBase of 7,000,00 rows using the default Full-Text Search is hard and tedious work hence I pioneered a Search Engine to handle millions of rows of data!. Optimized the schema, built indexes, streamlined the queries using SphinxSearch Framework with PHP-SphinxAPI. Reduced response time with less memory footprint and improved the accuracy-relevancy of search results. Worked on Apache, optimized the configuration to handle more requests & less memory. Migrated files, configurations, database to a new server without any glitch or downtime. Worked on Domain Registration, Redirection and configuring DNS. Managed Servers on AWS, Rackspace, Hetzner, OVH. Designed & Developed entire backend & frontend of a Web Application in CakePHP from scratch. Worked on user registration, integrated payment gateway, bulk e-mail, dashboard, created SEO friendly url’s, modified Twitter BootStrap Theme and transformed into a live product. Handled Presentations, Product demos and interaction with all key people and convince them implicitly, closing the case keeping all the major aspects in front and increased sales growth. Managed customer centric operations and ensured customer satisfaction by achieving delivery and service quality norms. Identified improvement areas & implemented measures to maximise customer satisfaction levels. Monitored, recruited, trained & motivated the manpower and provided direction to the sales team for ensuring optimum performance and enhancing their professional and soft skills. Analysed the performance of team members for assigning targets on a regular basis. .
Focus on pioneering sustainable web application architecture using Python, PHP, MySQL, SphinxSearch on Ubuntu Servers.